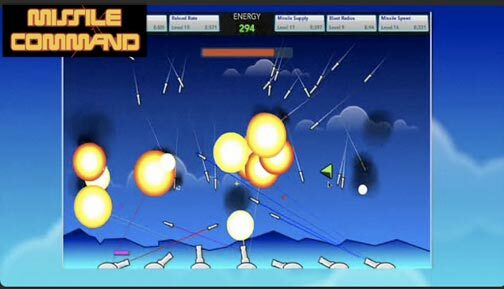 30 years after frustrating the hell out of Atari users, Missile Command is back. It's reborn and upgraded with new screens, weapons and multi-player capabilities. Hopefully, they haven't made it easier. Wow, that looks really dumb compared to the (great!) original. I have plans for a mind-bending remake for the iPhone/iPad but I'm damn slow. Look for it in say 6 months. said Brian H on March 16, 2010 11:46 PM.